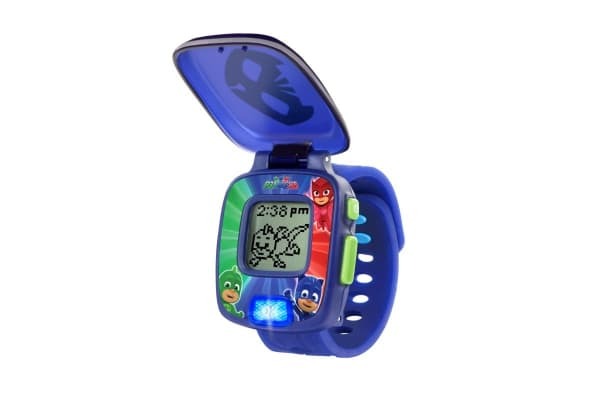 The Vtech PJ Masks Super Catboy Learning Watch (Blue) features a signature theme song, character voices and sounds. 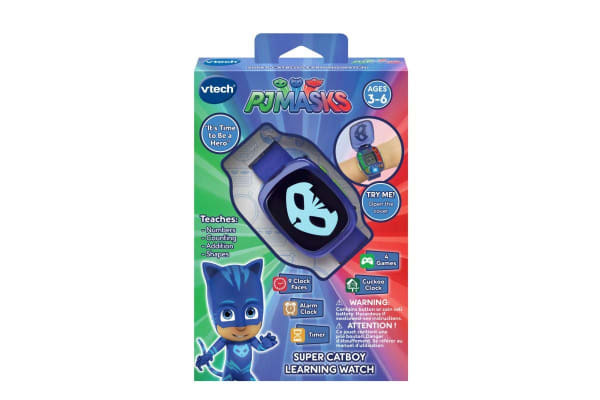 Play hero with your favourite PJ Masks Character. 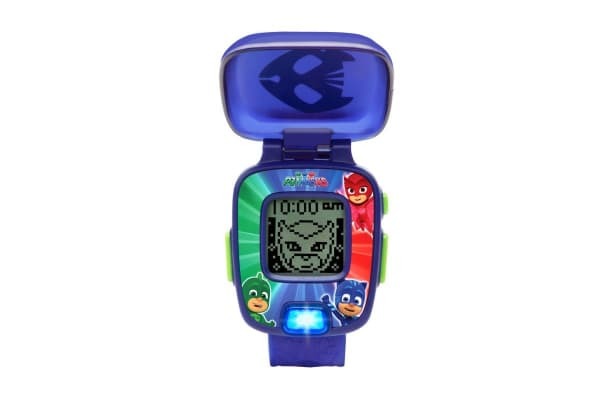 Including an alarm clock, games and personalisation, the Vtech PJ Masks Super Catboy Learning Watch (Blue) helps teach your child about shapes, counting and basic maths.